MIXACO’s combined heating/cooling mixers are the optimum solution for complex mixing challenges. The systems are characterized by their outstanding product preparation in the heating phase and high-efficiency cooling performance. The horizontal and vertical heating/cooling mixers are designed for high-volume throughput, rapid processing and short cleaning times. We have reduced the number of non-variable parts across all sub-assemblies by 50 percent. Our optimized production concept allows us to offer solid MIXACO quality at very attractive prices. The consistent development of tried and tested technology is a MIXACO hallmark, which also applies to our heating/cooling mixers. The product line has been completely redesigned following comprehensive analyses of all components. The core concept: a flexible platform strategy for all construction sizes. 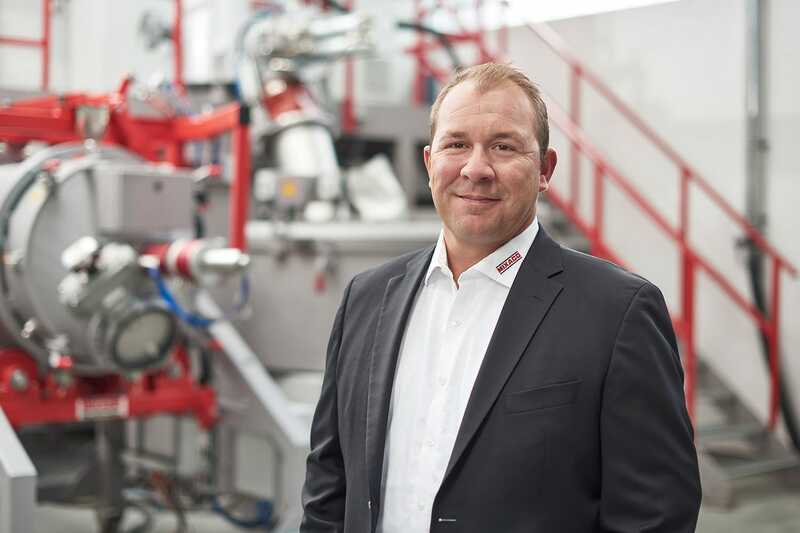 Production can be substantially optimized and accelerated thanks to the significantly increased use of non-variable parts. 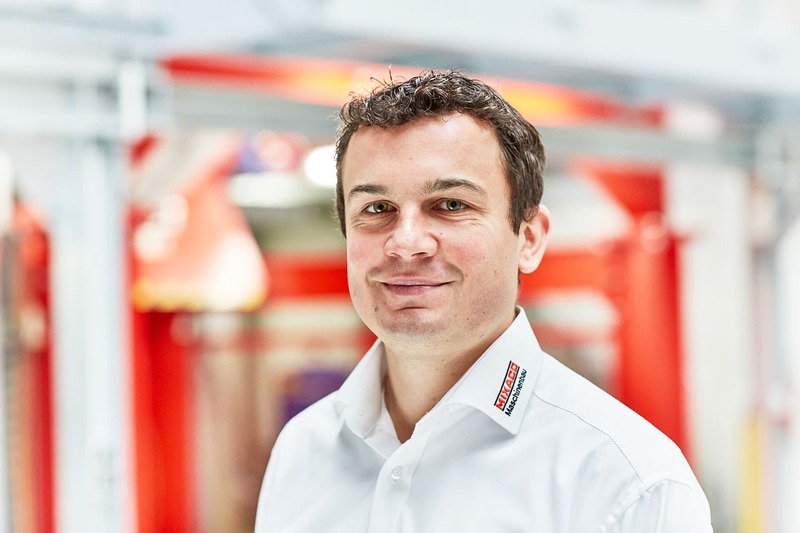 This concept not only considerably reduces delivery times for heating/cooling mixers, but also enables specific customized customer requirements to be considered and implemented at the same time. In addition, our range of international maintenance and support services are optimized continually and are under continuous review. The result: solid quality and tried and tested MIXACO service at a significantly improved price-performance ratio. The vertical cooling mixer is an economical, robust solution for throughput volumes up to 2,500 kg/h. A high-performance multi-stage mixing tool in the heating mixer generates friction to heat the product. At the same time, all recipe ingredients are evenly distributed throughout the mixture. When the desired target temperature has been reached, the mixture is transferred to the cooling mixer through the discharge port and the heating mixer is ready for the next batch. The material is cooled in the vertical cooling mixer by passing it gently across a cooled surface several times. An optimum cooling performance is achieved through targeted water circulation in the mixer floor and sidewall. The cooled mixture can then be emptied rapidly via the dead-space free discharge port. The combination with a horizontal cooling mixer is the perfect solution for high-performance applications requiring larger throughput volumes. High-performance cooling with three cooling zones enables particularly gentle mixing and efficient cooling of the material. A multi-stage mixing tool in the heating mixer heats the product and distributes all recipe ingredients and materials evenly throughout the mixture. When the desired target temperature has been reached, the mixture is transferred to the cooling mixer through the discharge port and the heating mixer is ready for the next batch. The specifically configured water circulation system in the horizontal cooling mixer ensures the best possible cooling performance in the three cooling zones. Besides the relatively large cooling area, the optimum water circulation speed is another factor with a decisive influence on the machine’s overall effectiveness. After use, access to the container for cleaning is fast and easy via the mixer lid with motorized lifting mechanism. 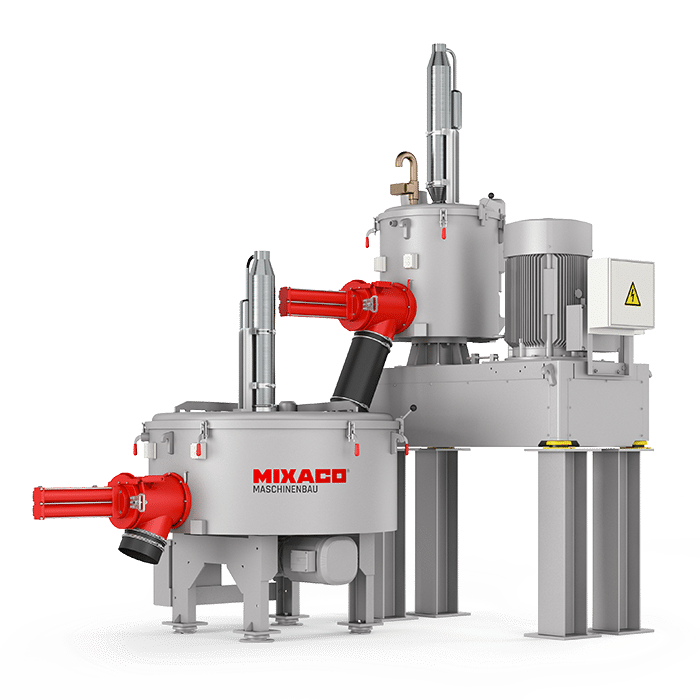 MIXACO heating/cooling mixers are suitable for many high-throughput mixing processes. Our specialists will work with you to determine the right technical configuration for your application and create control parameters. 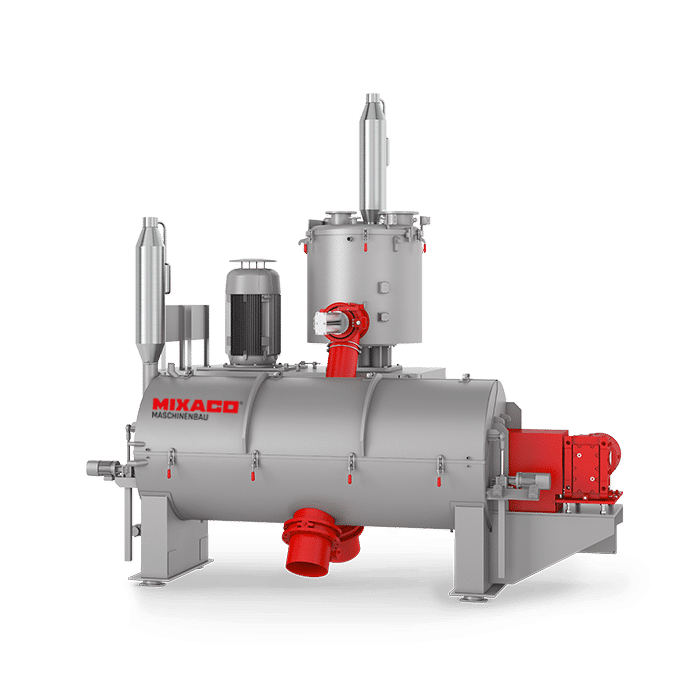 MIXACO’s combined heating/cooling systems deliver first-class mixing quality and high-volume throughput for the manufacture of a large number of products. The individual requirements and careful processing of raw materials are guaranteed at all times. Our specialists will be glad to advise you on the optimum technology for your product solution. MIXACO heating/cooling mixer systems can be extended in many different ways by the addition of accessories. Custom-built adaptations can also be developed to your individual specifications in consultation with our experts. Please do not hesitate to contact us for more details. We built the first heating/cooling mixers at the end of the 1960s. This relaunch by MIXACO goes to show that even improvements can be consistently improved upon.